I am a full time painter living and working in Maine. 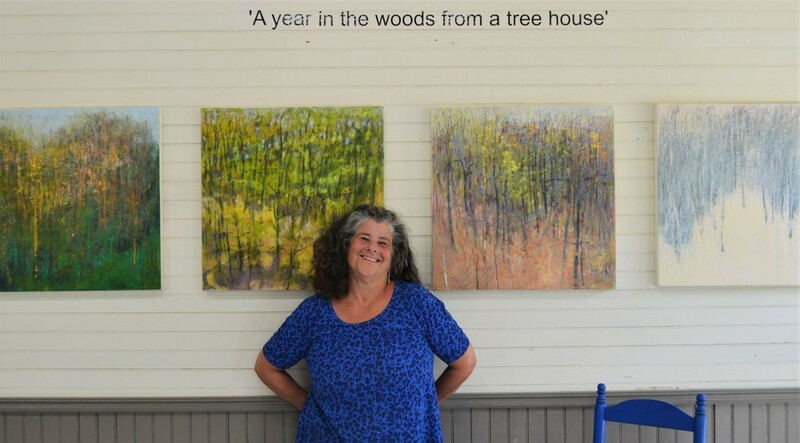 I have a winter studio in Brunswick and a summer studio in the small lakeside town of Readfield. Summers in Maine are short and intense. I spend a lot my art time in the summer observing, collecting information and being inspired. The winter is when I work it all out spending long hours in my studio. These past two years I have been observing light and studying Kabbalah texts as I prepared for a solo show at the Maine Jewish Museum in Portland. The show is up and running until September 6th. My next show is part a group show of other artists in Maine who work in encaustic.